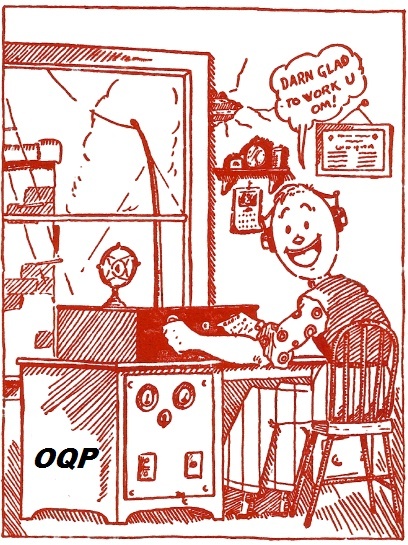 Welcome to the Ontario QSO Party (OQP). This event is held annually on the third full weekend of April. Beginning in 1998 under the thoughtful guidance of Bob Chandler VE3SRE it quickly became a popular event among Ontario hams and beyond. In 2006 the organization of the party was turned over to Contest Club Ontario (CCO) who now manages the event. In the contest, stations outside Ontario make as many contacts with Ontario amateur radio stations as possible. Ontario stations contact as many amateur radio stations as possible both in Ontario and world-wide. See the full set of rules for the contest exchange, frequencies, modes and categories. Go to https://groups.io/g/OQP and click on Join.